Respiration is the release of energy in cells by the breakdown of food substances. C6H12O6+6O2——6CO2+6H2O (glucose + oxygen——carbon dioxide + water). 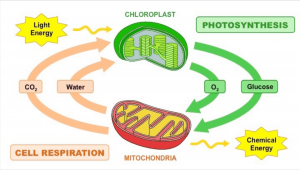 Cells need and use the energy that is formed through this process to assist with life processes in order for organisms to survive and reproduce. I did task 2 with Gloria and we used glucose and hot water to show the respiration.Here are the steps for the experiment. Get a syrin ge, and put some liquid food in it. 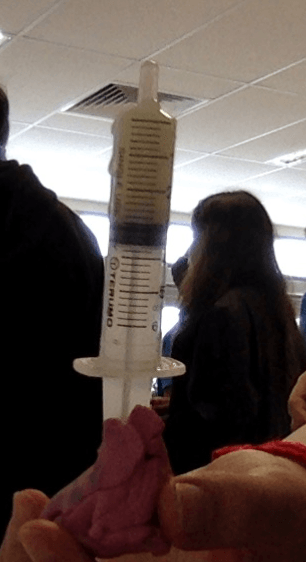 In the end, we saw there were bubbles coming out of the syringe and the water filled in the syringe so the number decreased from 3 to 4.